A baby bear joined bewildered skiers on the slopes of a mountain near Lake Tahoe, shutting down part of the ski resort. The bear was brought to Lake Tahoe Wildlife Care and x-rayed. Wildlife officials found injuries on the bear, and aren't sure how it they happened. They also said that the 14-month-old bear was underweight and thirsty. 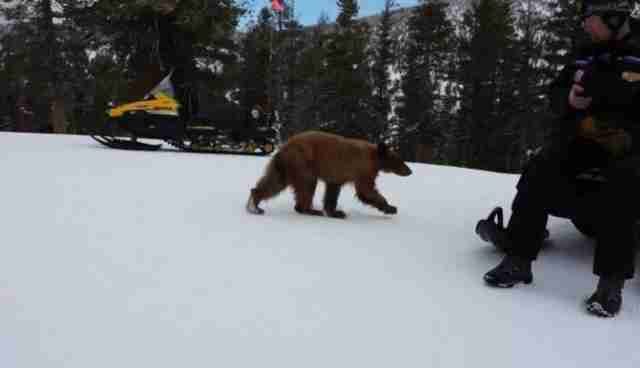 "The bear came out, looked like it was looking for help, walked away back into the woods, came back and almost like it was trying to nuzzle up with some people and just seek help," said Sally Gunter of Heavenly Mountain resort. According to local ABC news station, veterinarians say the young bear's prognosis looks good -- veterinarians are giving him food and antibiotics, in preparation for releasing him back into the wild. 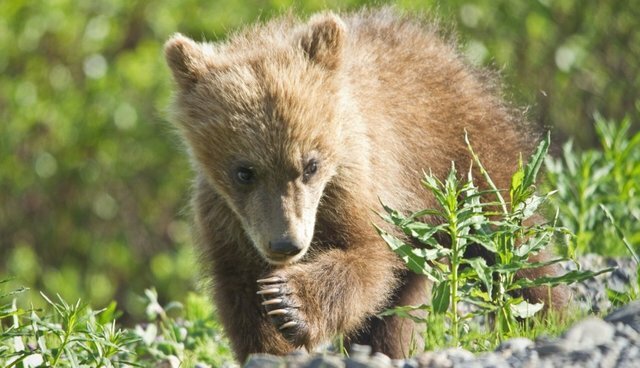 While bears are usually solitary animals, cubs stay with (and hibernate with) their mothers for around two and a half years -- no word yet on where this cub's mom might bet, but hopefully officials can reunite them. Bears are finding it so unseasonably warm in the Sierra Nevada mountain range this winter that many of them are forgoing hibernation in favor of foraging through garbage, bringing them closer to humans and spelling out trouble for the food chain. And this isn't the first time a bear has shown up during a day of skiing -- a black bear was spotted roaming the backyards of Basalt, Colorado in December. Local officials chose not to intervene or trap the animal, saying they wanted to "let the bear be a bear."